So Okay – the other day we decided to try “extreme thrifting”. We had read about a Goodwill clearance center in a town not to far from home and we made a day out of it. Drove up there, stopped at a few yard sales along the way and had dinner plans for the way back. 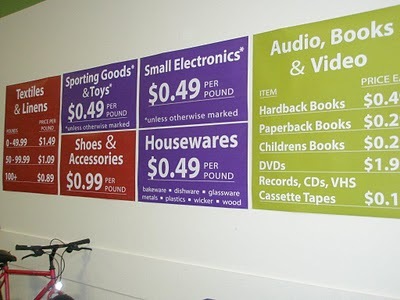 Now I think Goodwill Thrift store are very interesting – always an eclectic mix and decent prices. I always wind up with something other than what I had in mind when I went out, but thats part of the fun in thrifting. A Goodwill Clearance center is a whole different animal. 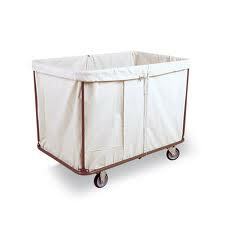 Everything was in big bins on wheels (think of those laundry carts on wheels that the hotels use – you know the ones they always use to hide someone in in the movies). There must have been about 15 rows of these and at least 15 or 20 to a row. Stuffed. You name it – it was stuffed in those bins somewhere. And – everything was sold by weight. That’s right – it was weighed on a scale at the register. Brings me to my big find – ties. Beautiful, designer, pristine, all silk ties. 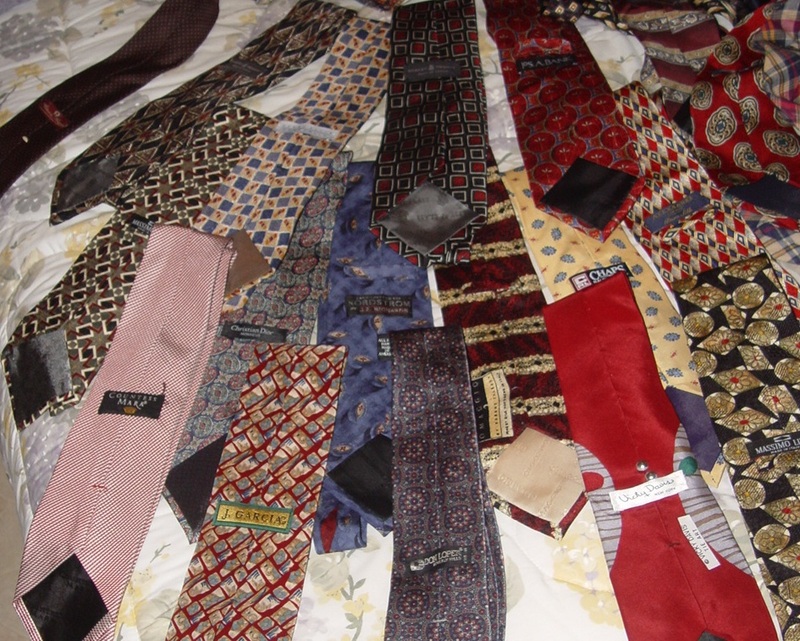 I sifted through the bins with the ties – after an hour or so I had 35 ties picked out. Countess Mara, Armani, Bill Blass, Oscar, Robert Talbott, Brooks Brothers, Banks, Italian designers I’ve never heard of, Hermes, Don Loper, J Garcia, Nordstroms, Southern Proper. Now for the best part – at the register. I took my haul up there, set it into the basket on the scale and it weighed in at just over 3lbs. I had no earthly idea what that was going to cost me – From the sign I knew that clothing was 1.35 per pound, however the cashier told me that ties were classed differently – they were 49 cents per pound. $0.49…. that made my ties be 1.58. One Dollar and 58 cents. Not each – for the entire bundle. 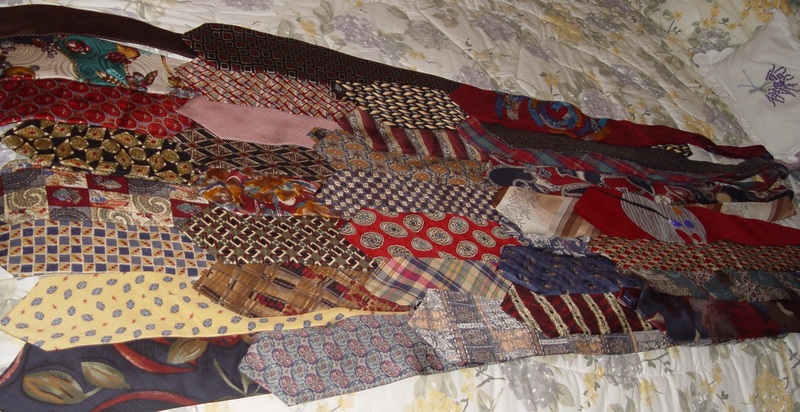 All 35 ties – $1.58 total. That’s less than a nickel for each tie. WOW! 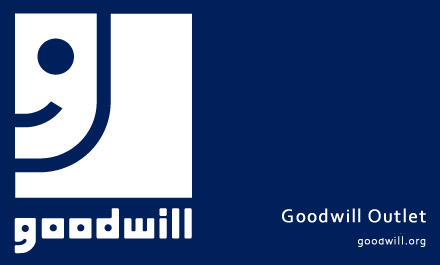 Hey, my friend I go to goodwill too both to buy and donate. Those ties are great bargains and cool looking. Do they have scrubs. Anyway, I congratulate you for spending wisely, you are a role model in today’s economy. Stay blessed. update me on the next bargain hunt.